This week was my third time with the interior design class. Previously we have covered the different styles over the centuries, current trends as well as color. This week it was time for mood boards. 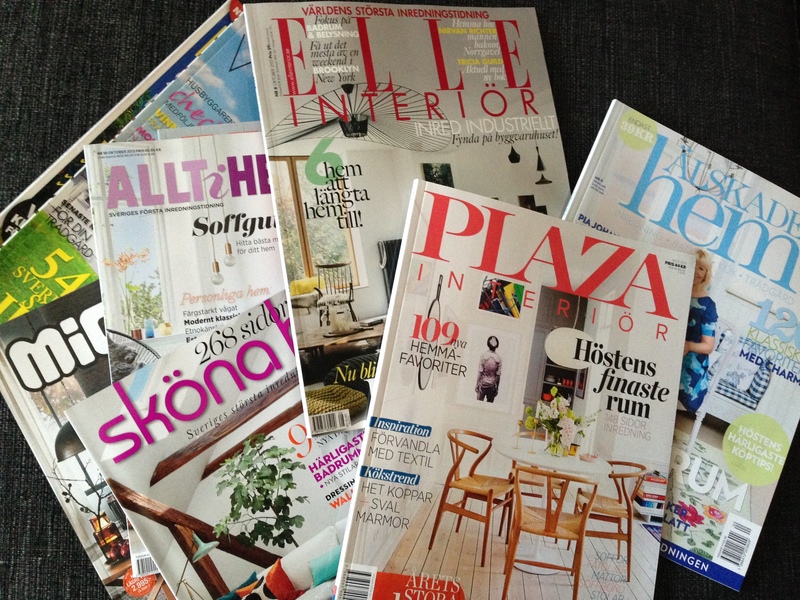 We browsed through lots and lots of magazines in order to find inspiration for our rooms. I’ve decided to concentrate on our family room in the new house. I was pretty set of what I wanted… should remind me of the ocean, in blue, green, beige and white colors. Found several nice pictures from the magazines to use. It was actually so much fun that I immediately the day after bought lots of interior magazines–unfortunately I had cleaned out all my old magazines earlier this year–in order to find more pictures both for the family room and for the other rooms in the house. Now I have 3 more mood boards to create for some of the other rooms–dining/living room, home office and master bedroom. Fun, fun, fun!